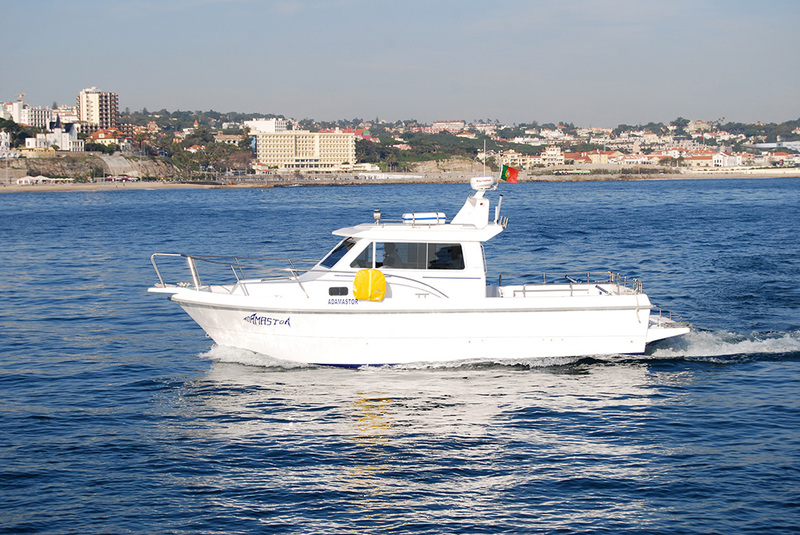 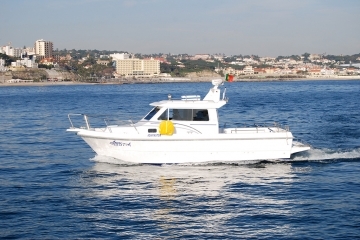 The largest model of the entire Fibramar brand stands out as an excellent option for the family cruise programs, with comfort for all to enjoy the sea. The main feature of this model is the large size of the cabin. 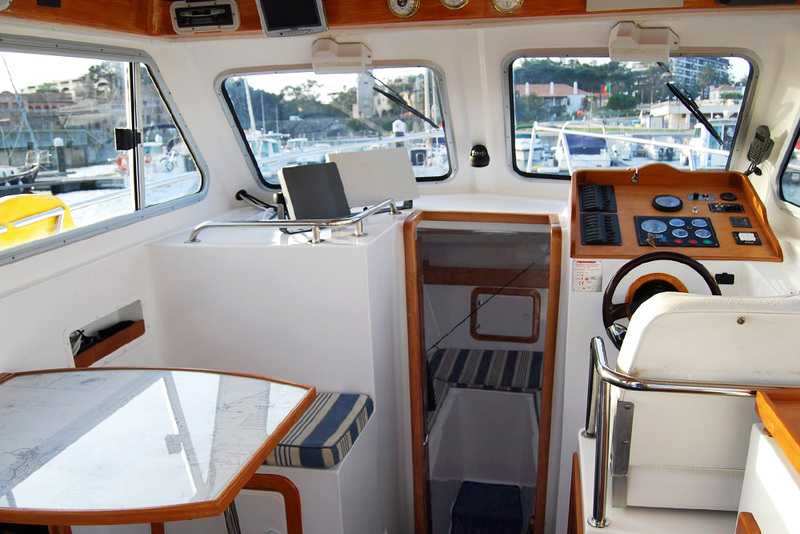 An important point is the clear view that the pilot has in the cockpit and the ergonomics of this place. 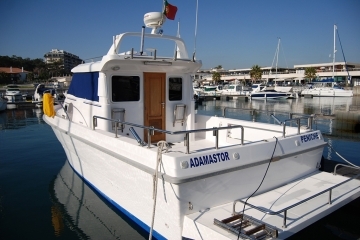 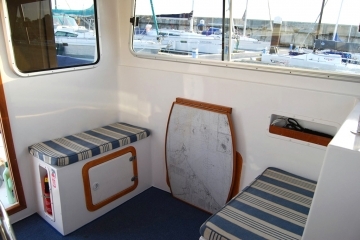 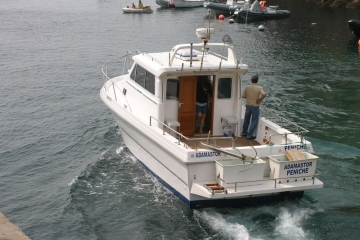 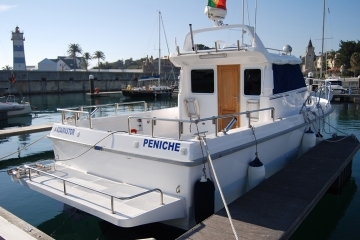 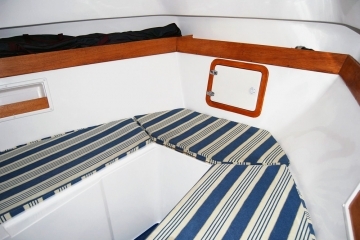 This boat has a spacious lounge with space to be, on the port side, consisting of two couches and a folding table. 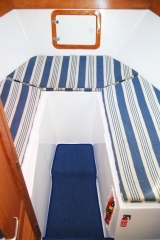 Under the pilot seat there are storage compartments. The kitchen has an electric stove and dishwasher. 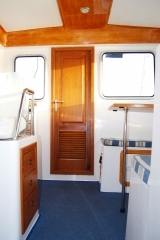 May further contain a refrigerator (optional) or more space for storage. 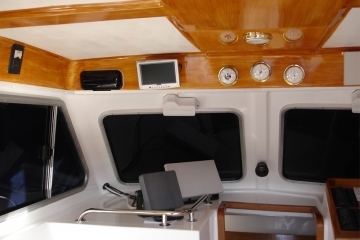 The cockpit offers a complete set of instruments and the electric panel. On the side there are sliding acrylic windows. 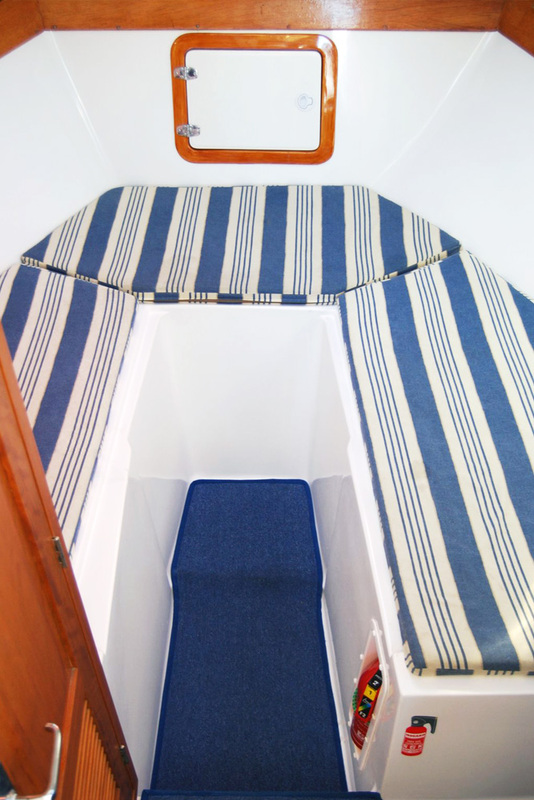 By going down some steps it gives you access to the bow cabin with the traditional central V that can be transformed in a double bed. For storage there are two shelves on the rail over the bed and compartments beneath the bed mattresses. 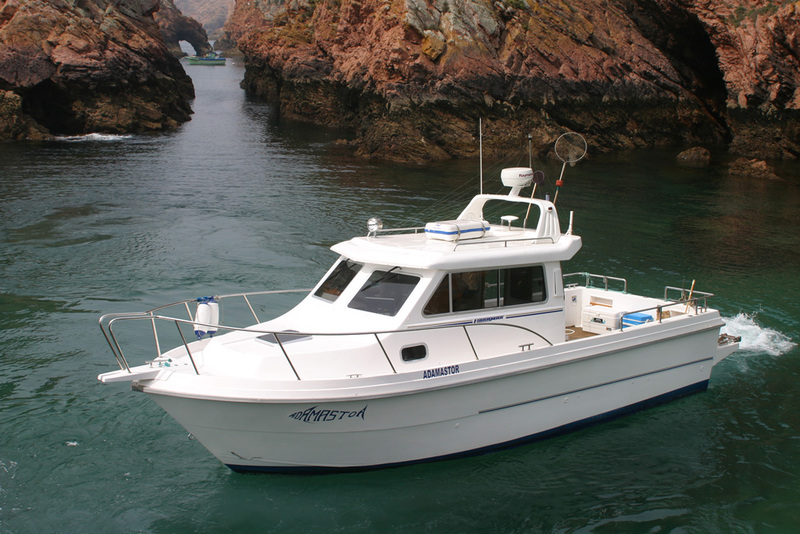 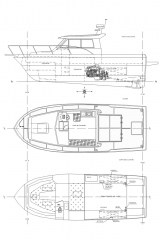 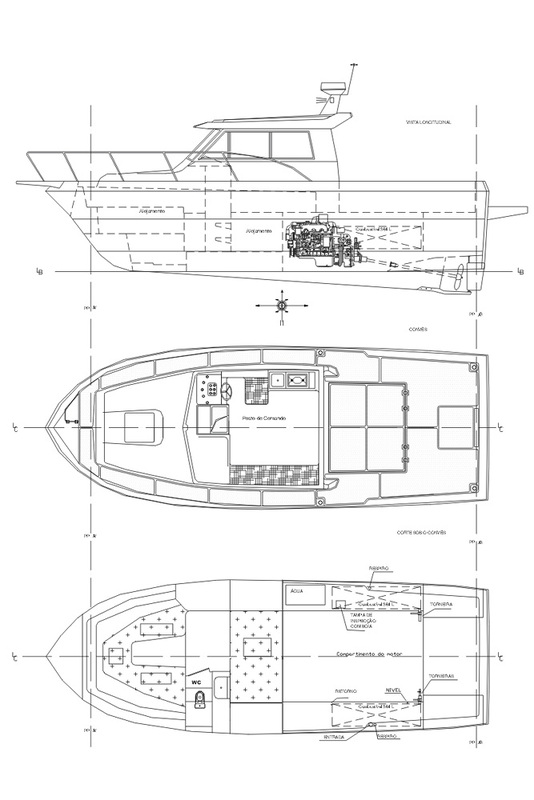 Two bull’s-eye portholes and a hatch provide light and ventilation. 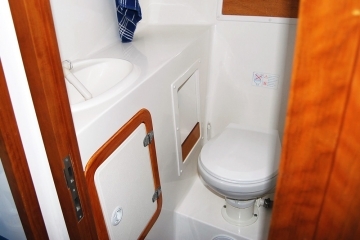 On the opposite side of the toilet, beneath the bridge there’s a large compartment that can be used as a second individual bed or to store fishing rods or other long-length objects.